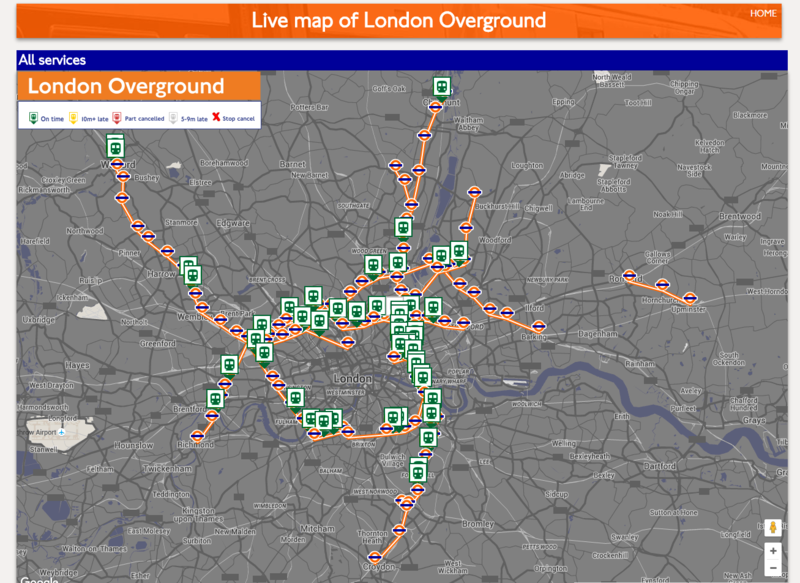 Until November 2016, LOROL was the train operating company operated the London Overground train network. The London Overground network keeps London moving on a daily basis, transporting 184 million passengers per year through 112 stations. The LOROL Control team were responsible for providing customers with train alteration information whenever cancellations, alterations or known delays occur. This was done through their station Customer Information systems or Darwin Workstation. In the event of a service issue, LOROL Control staff needed to complete a system log. This was a manual process and often could take hours to complete. 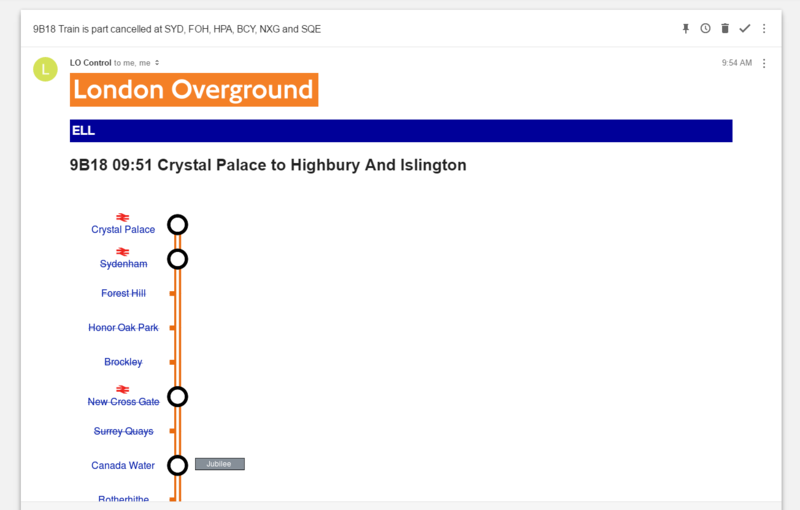 London Overground needed a digital system which could perform the service analysis quickly and would increase the speed of Darwin information delivery. 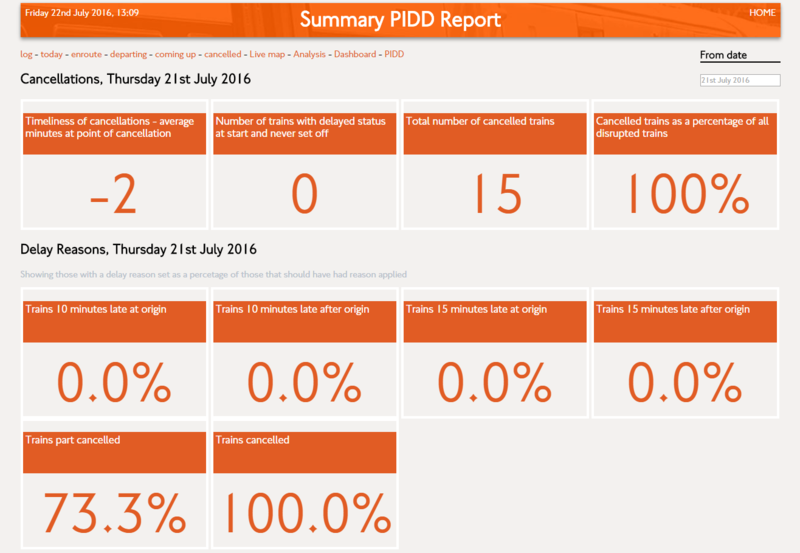 DART is LOROL’s operations dashboard that interfaces to the Darwin API to provide key staff with alerts of delayed, cancelled and amended trains and rapid and detailed analysis report of Controller performance. LOROL used a number of different digital customer service tools to ensure that they ran a steady service, including the Lorolpedia customer intelligence app and Orinoco. DART needed to integrate with these systems to allow seamless delivery of information to staff. 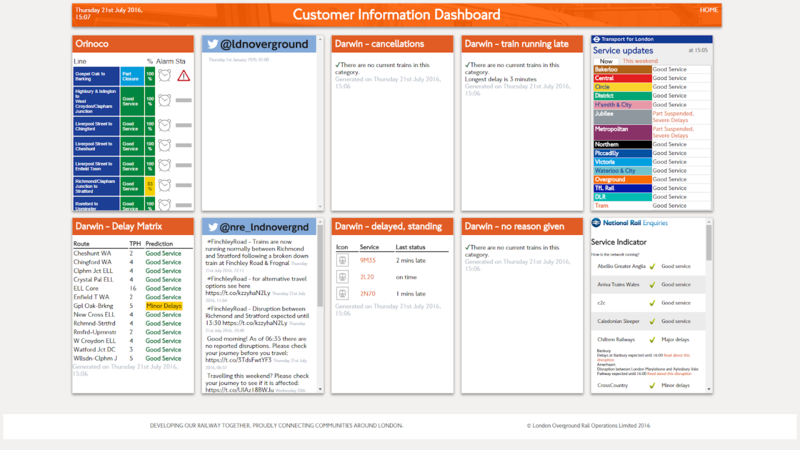 The DART dashboard provides the user with Orinoco updates and updates from the TfL Twitter feed, allowing users to access real-time, up-to-the-minute service information. The DART user interface displays a lot of information on one screen, so it was important that the design was as uncluttered and as clear as possible. The user interface was designed to replicate a basic grid structure which allows information from different sources to be clearly viewed by the user. This design smooth and clear information flow to allow information to be accessed quickly and easily. To improve the flow of information, the user interface is designed to be streamlined and functional with a clear and comprehensive layout. This has ensured that all the different types of information that drivers needed to access were clearly visible and easy to access. We removed the entire manual aspect of the task and integrated all of the paperwork into a digital database. This made it much quicker to access the correct forms and system logs, allowing important service information to be sent faster than before. To speed up the system log process, we integrated the previous paperwork database into the digital system. This means that through the Driver App, drivers are able to easily access all of the existing LOROL forms and reports in digital format, which has helped to speed up the information flow from the office to the drivers and from driver to driver. Arriva Rail London has now taken over as the franchise and DART continues to be used by Arriva Rail London’s controls staff. We assisted LOROL with ongoing technical support and were on-hand in helping the continuous growth of Lorolpedia in addition to providing web hosting services. Ready to become our next mobile application success story? We assist you with the full mobile app development journey, from initial strategy and concept, through to app testing and launch. We believe in providing real value for your business, this is we develop all of our mobile app solutions in-house: on time and on budget. We have been around since mobile apps began, and have helped some of the UK’s largest organisations, such as Northern Rail and London Overground, to refine their business operations and customer services with a mobile solution.